Cheesy chicken enchiladas. A nice combination of messing about in the kitchen and not actually requiring any knowledge of how to cook. It's a while since I finished eating and my mouth is still tingling, so maybe having the whole spice mix to myself was a mistake, but I personally think it sounds like an excellent excuse to open a chilled bottle of wine! 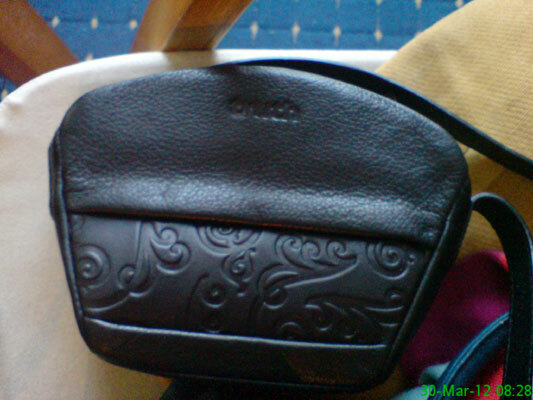 I usually carry quite a large handbag so I love this little one if I only need to take a few things out. 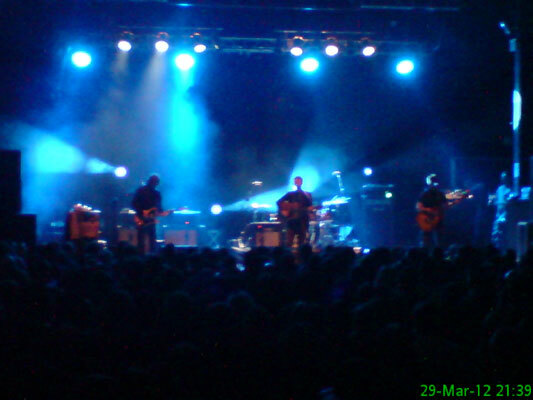 A bit of a blast from the past - Cast playing at the O2 Academy, Newcastle. 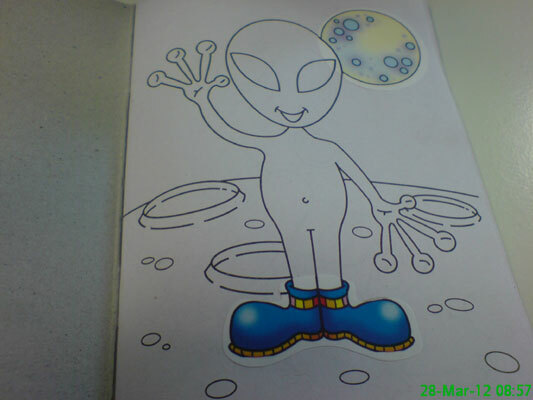 An alien sticker activity book for me to mess around with. Nicola clearly knows I need distractions from the daily grind. 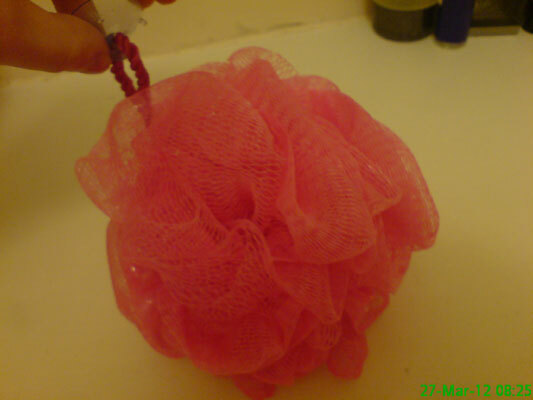 A new puffy thing for the shower as the one I had was looking a bit sorry. 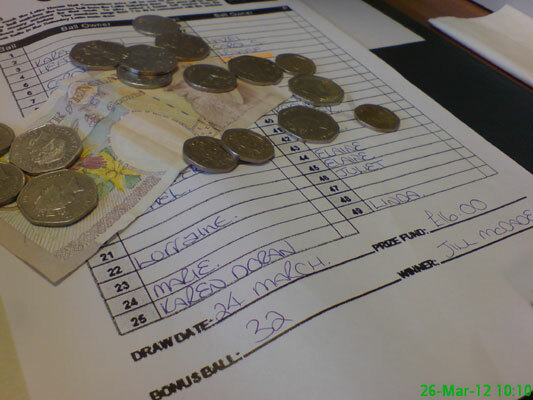 My lucky number strikes again as I win the first bonus ball pot at work. 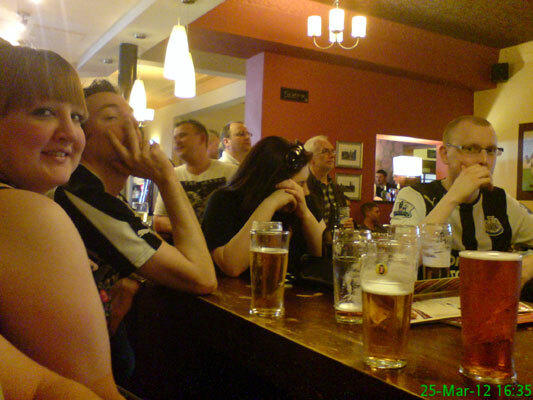 After several hours outside in the beer garden enjoying the sunshine, it's time to move inside at the Newton to watch the match, which went pretty well. 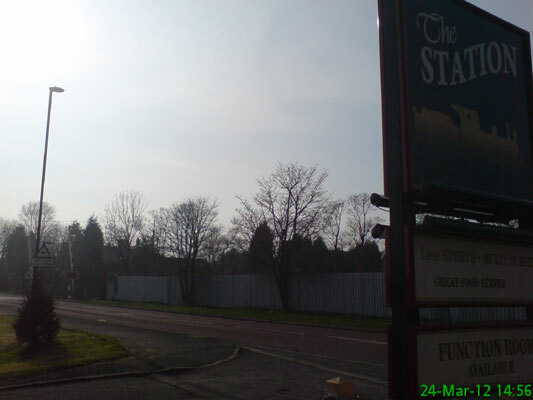 The Station pub, where we had a few drinks and watched some football before heading to Mick's for a barbecue. The level crossing in the background always reminds me of my cousin Nasser, who used to drag me there from our Gran's place to watch the trains go past. A necessary purchase, due to the aforementioned garlic cloud. 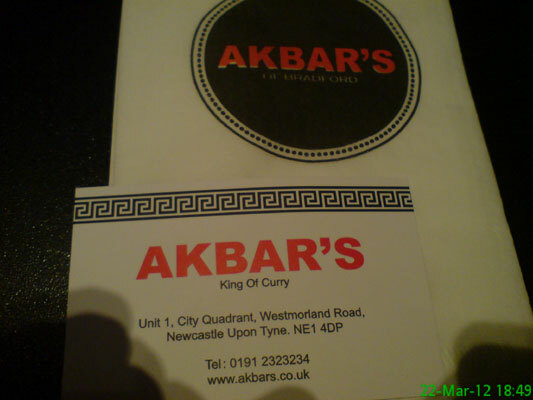 Went for a delicious curry at Akbars. I would certainly recommend it, though I suspect a cloud of garlic will follow me around for the next few days. You can hold me solely responsible for how boring this picture is. After a slight role change at work, I finally receive the information about my new wage. 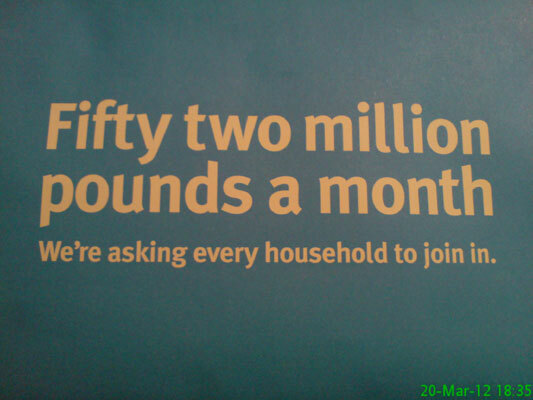 Ok maybe not - actually it's some letter about Water Aid. I hope that's not per household. 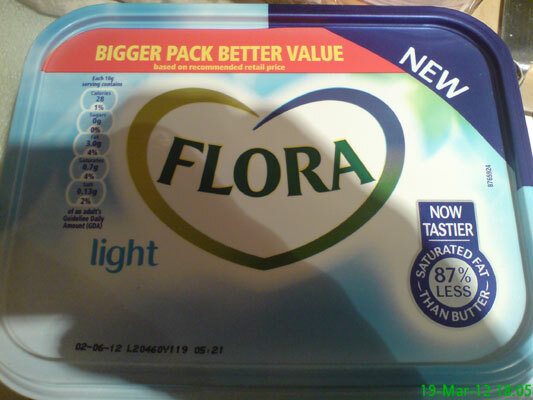 Flora Light has changed and is now slightly healthier. 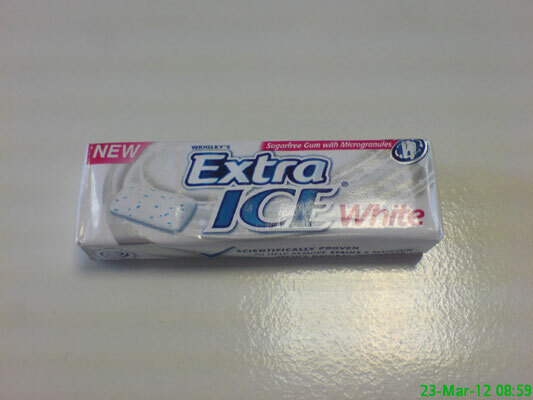 I hope they're telling the truth when they say it's tastier. 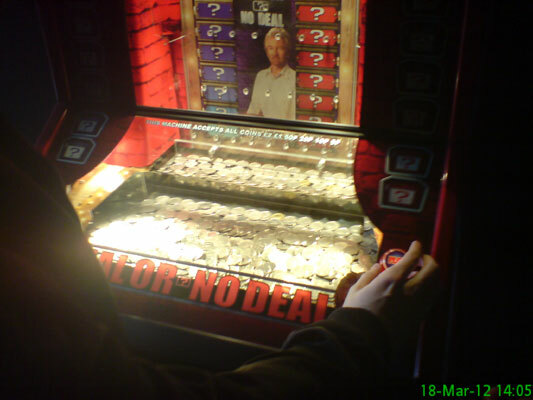 An excellent find: a form of 10p machine in a pub! 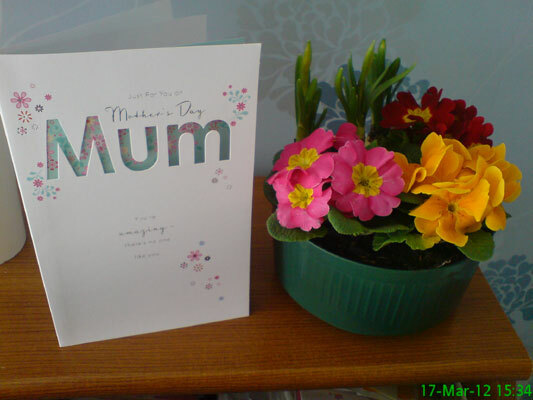 My mam is so amazing that she lets me celebrate Mother's Day early because Sunday is a match day. Love you mammy! Maybe I could be a pastry chef after all. 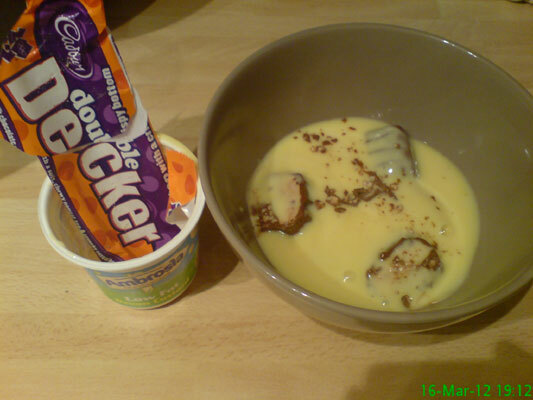 1 Double Decker, 1 pot of low fat Ambrosia and 40 seconds in the microwave creates an amazing dessert. 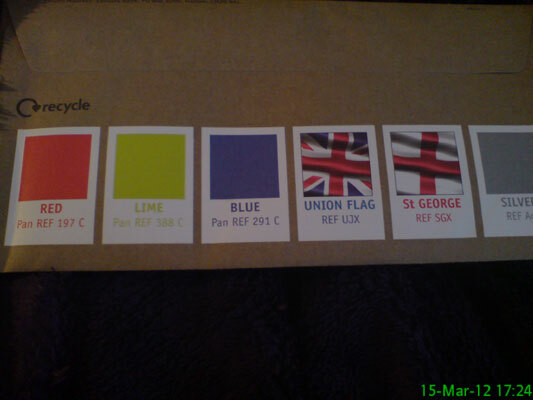 Junk mail is getting more colourful - these are the options for the pattern on the Visa card that I won't be applying for. 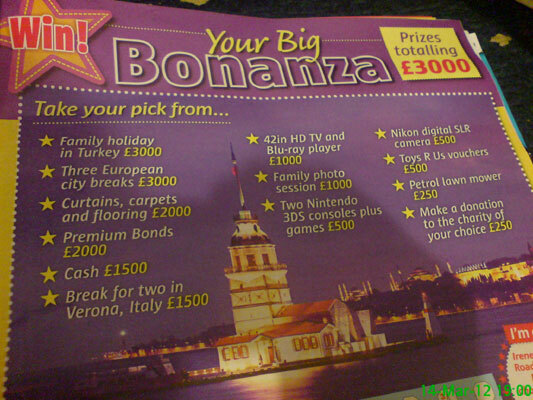 A list of possible competition prizes. Now all I have to do is solve the puzzle and win. 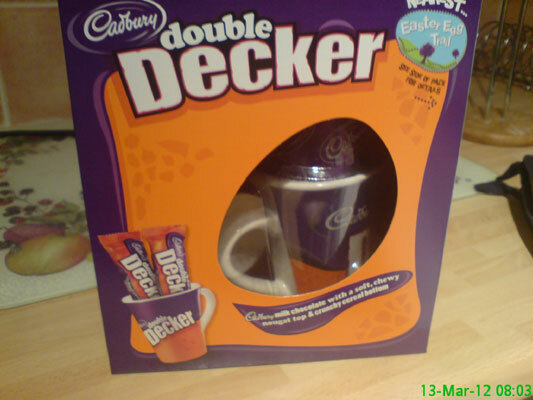 Despite trying to keep my shopping as cheap as possible in the run-up to being paid, I couldn't help buying myself this half price Easter Egg. 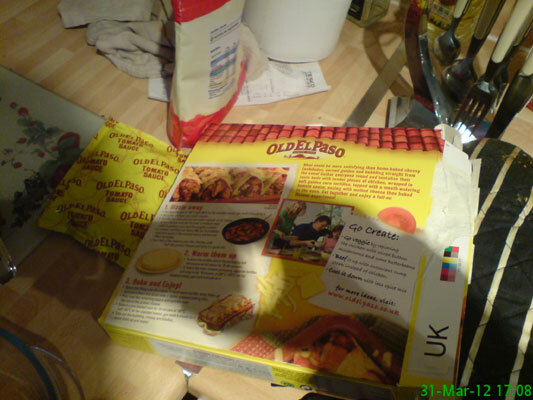 Please note that although the time stamp says 08:03 I did not have any for breakfast and it remains unopened. 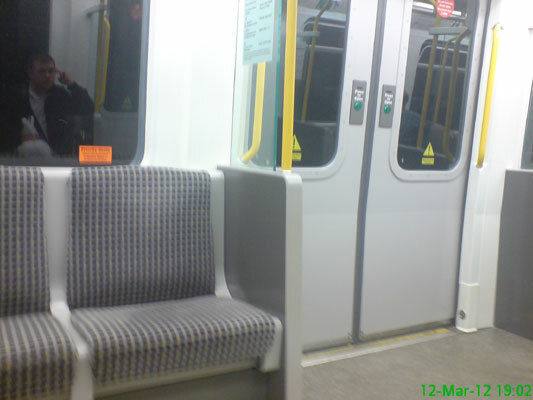 My first journey on a newly refurbished metro. 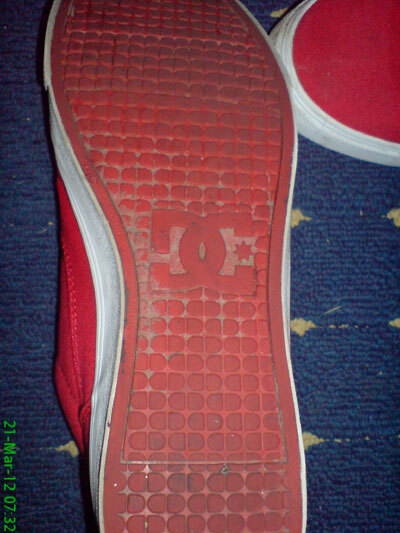 They've changed the colour scheme a little but other than that they're pretty much the same, as far as I can tell. 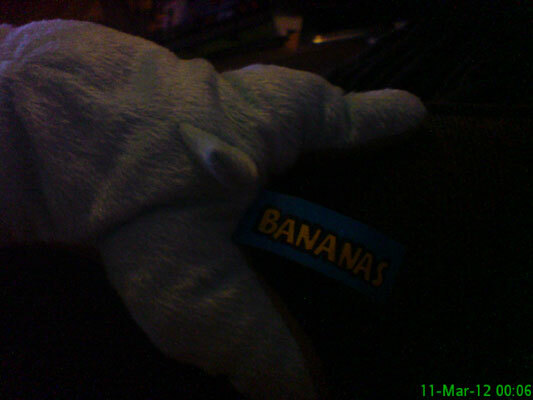 This little toy reminded me of that awful B-A-N-A-N-A-S song. 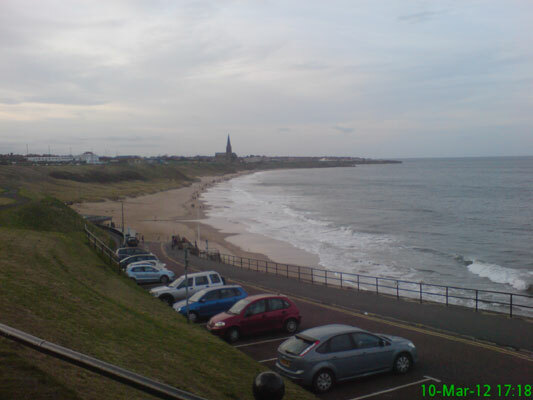 Went for a walk from Newcastle city centre to Tynemouth, ate some fish and chips then continued along to Whitley Bay. It ended up being around 11.6 miles in total. It was nice and sunny when we set off, but a bit more cold and gloomy by the time we approached the Bay. 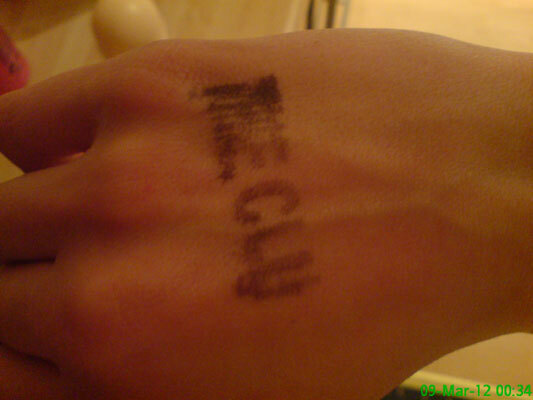 After going to see some bands (Way Through, Warm Digital and Future Islands) at The Cluny 2 I'm left with one of those annoying hand stamps that always take ages to wash off. 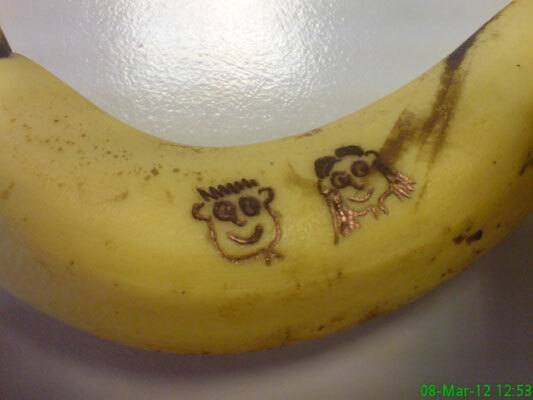 I've recently been reminded how fun it is to draw on bananas, so I couldn't help myself doing this little doodle of two people who apparently don't have torsos. My new t-shirt. It's apparently a 'small' but it was from the USA so it still seems a bit on the large side. 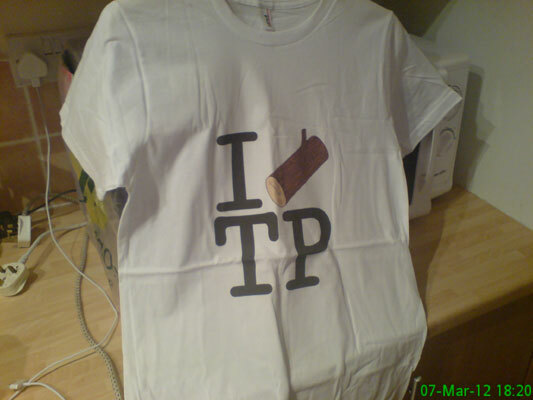 Anyway, I look forward to wearing it to show my love for the Log Lady in Twin Peaks. I appreciate that I'm not demonstrating the t-shirt's best qualities by hanging it up in front of the microwave but I was so excited there was no time to arrange a proper pose. 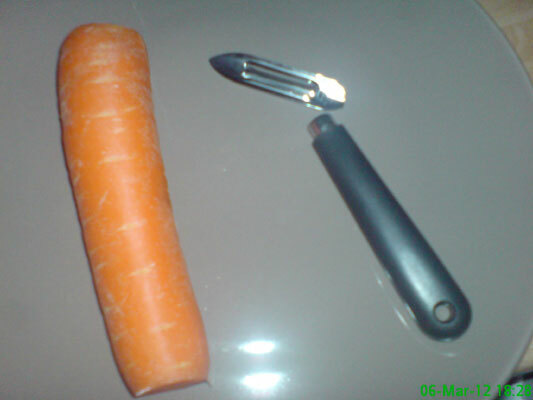 My 'easy prep' tea suddenly became a little more difficult as the peeler snapped in my hand. 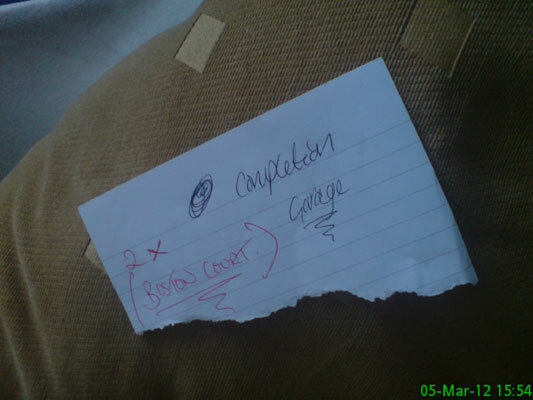 I had a day off and it's a good thing I knew our landlord had arranged a viewing this afternoon as otherwise I would've been a bit creeped out to find this random note when I got back from a few hours out. 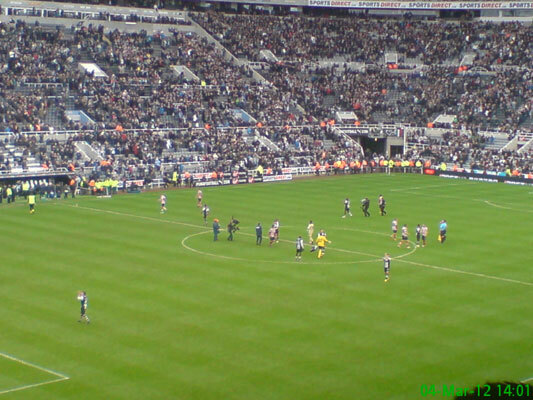 The 'Mackem Slayer' Shola Ameobi scored a late equaliser to make it 1-1. Based on the chances we had, we would've deserved to win. 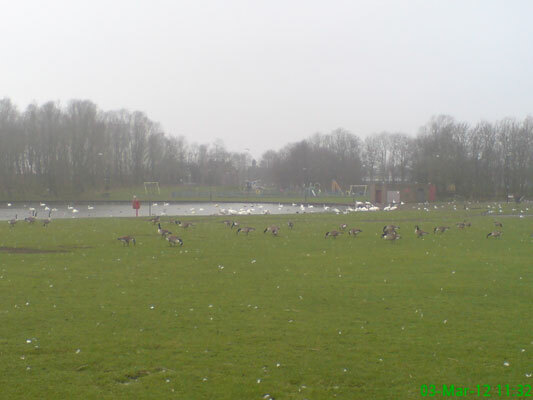 Went for a walk around the lake and there were lots of evil swans, so I kept my distance. 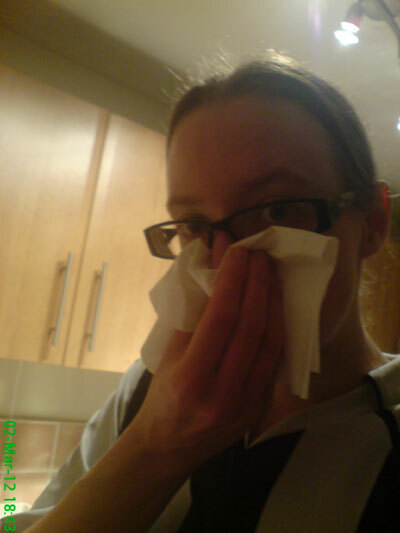 I had an extremely runny nose when I got in tonight.. hope I'm not getting a cold! 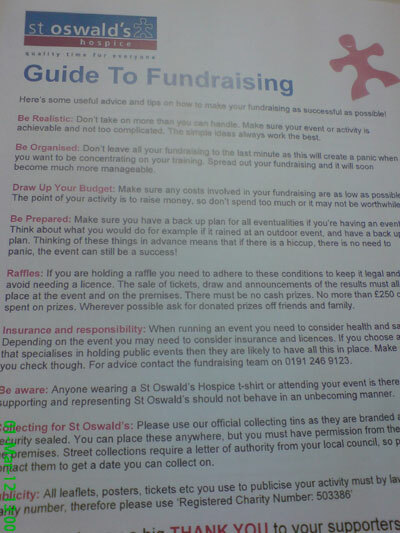 I received my Great North Run Fundraising Pack from St Oswald's Hospice.